I know it sounds cliché, but Somatics changed my life. In my 20+ years of personal training, I've explored many different exercise methods—from pilates, yoga and functional movement, to water aerobics, hula hooping and Tabata—and have found ways to blend them into trainings. But when I was hit by a car in 2011, everything changed. I suffered a traumatic brain injury, my jaw knocked out of alignment, and I was a mess of soft tissue damage. My body no longer functioned well. I went from being able to move 20 yards of compost without any pain to feeling my body revolt from just shoveling a scoop of dirt. So, I explored and researched pain-relief methods like acupuncture, massage, chiropractic, ortho-bionomy and osteopathy. Some helped me to some extent, some made me worse, but regardless my body would coil back into its tightness. I also explored Egoscue exercises, foam rolling, the Melt Method, and so on. Once again, they felt good, but nothing lasted. Finally, I discovered Essential Somatics. I fell in love with this simple yet effective method of exercise. It works because it literally changes the connection between your brain and muscles to release chronic tension. I started sharing Somatics with my students, and they absolutely love it, too! 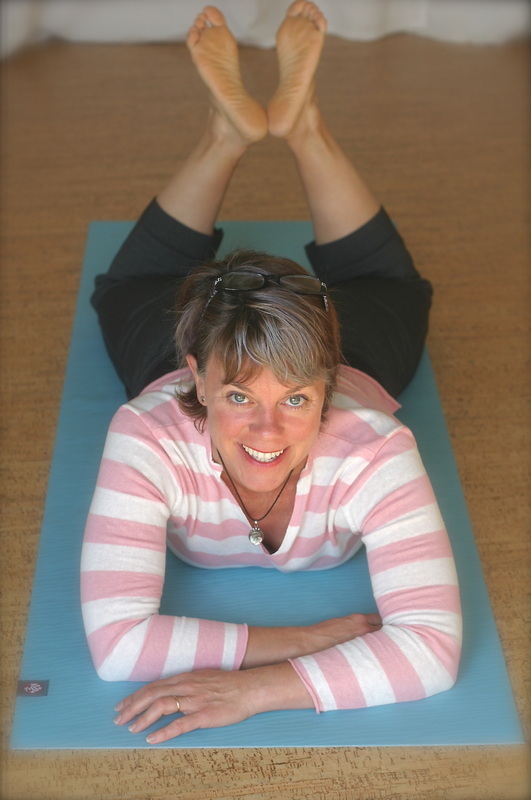 I found it so effective that I got my Somatics Exercise Coach certification in 2014. In 2018 I completed my 3-year Clinical Somatics Education certification with Essential Somatics under the tutelage of Martha Peterson. For a lot of people, starting a traditional exercise program is putting the cart before the horse. As we age, we all want to maintain quality of life. But for folks who have been desk jockeys or have had accidents, stress and trauma, loading a body with additional forces like weights and certain exercises can cause more discomfort because we literally strengthen our pain. So, while Somatics might be a hard point to sell to someone who's let themselves go for so long that now they just want to "get in shape," I strongly recommend you work on functional ability first. People need, want, and actually practice Somatics. The key to your fitness success is recognizing what you need to do, then actually doing it! A lot of people have an aversion to typical exercise. But after a somatics class, clients come back and want to review what they learned the week before because they are practicing at home! How rewarding is that!? I want to be an educator. I want to be an educator, not just a leader. Because Somatics is all about the first-person experience—what you feel within your body, not what others see from the outside—you are your best teacher. Through Somatics and mind-body methods, I give you the tools to fix yourself. Somatics makes everything in your life easier. In addition to helping you move with more ease, Somatics helps you think more clearly, sleep better, even relate to people better. It all has to do with your nervous system. The constant stress of today's fast-faster-fastest world puts your sympathetic nervous system (the part of your nervous system that stimulates fight-or-flight bodily responses) into overdrive and never lets your parasympathetic nervous system kick in so we can enjoy the pleasant things in life like relaxing, digesting and making babies. Who wouldn't want to offer something that makes a client exclaim, "I feel like I'm 10 years old again!" after her first session. Honestly, I'm tired of "selling" exercise. I can't compete with big-box gyms or Groupon or flashy trainers. That's not me. But educating people how to move well and feel amazing is a wonderful thing to share!